One of the very first things you’ll hear when you’re TTC is that you’ll need to take lots and lots of folic acid, also known as vitamin B-9. It’s a well-established fact that pregnant women and their growing babies need plenty of vitamin B-9 in order to stay healthy, so why not take as much as you can, right? Well, hold on to your multivitamins folks because I’m going to spend this entire post showing you exactly why you should definitely NOT take folic acid supplements. First of all, let’s talk about what folic acid actually is. Folic acid is a manufactured, shelf-stable version of folate (also known as vitamin B9). Folate naturally occurs in foods like leafy green vegetables, beans, and citrus. The process for creating synthetic folic acid was discovered in the 1940s. It was considered to be a huge breakthrough in nutrition, because many Americans didn’t have access to the fresh vegetables necessary to get enough of this essential vitamin, and the result was a whole lot of people suffering from malnutrition and birth defects. A lack of vitamin B9 causes all kinds of major health problems, including: anemia, loss of appetite, ulcers, poor immune function, paraesthesia (pins and needles sensation), depression, vision problems, poor digestion (including IBS symptoms) headaches, and behavioral disorders. Low levels of folate in women can lead to fertility problems, recurrent miscarriage, pregnancy induced hypertension (PIH), pre-eclampsia, and placental abruption. In infants, folate deficiency can cause prematurity, failure to thrive in the womb, neural tube defects, low birth weight, slow growth rate, oral ulcers, megaloblastic anemia, anencephaly, spina bifida, cleft lip and palate, and neurological deterioration. Synthetic folic acid seemed like the perfect way to make sure people were getting enough folate, and so it was added as a supplement to breads, pastas, cereal, and flour (things that Americans were eating a lot of). Women of child-bearing age in particular were also encouraged to take synthetic folic acid supplements. Sounds like a great solution, right? Here’s the problem: the body doesn’t actually use folic acid—it needs to be broken down into methylfolate first. Furthermore, synthetic folic acid is MUCH more difficult for the body to break down and metabolize than the naturally occurring folates found in food. So here’s a common scenario—a woman tells her doc she is TTC, the doc says, “take LOTS of folic acid!” so she does. She’s also eating whole grain, cereal, and bread (all fortified with MORE folic acid) believing she’s eating a healthy diet. This means she’s consuming a ton of synthetic folic acid that her body needs to convert to methylfolate. But because synthetic folic acid is so difficult for the body to metabolize, and because it just keeps on coming, the result is a traffic jam of unmetabolized folate in the Folate Receptor alpha (FRa), the receptor sites on the blood-brain barrier. This traffic jam actually PREVENTS folate from getting converted to methylfolate (which is what the body actually uses) and results in a folate deficiency instead, leading to all of the health problems listed above. 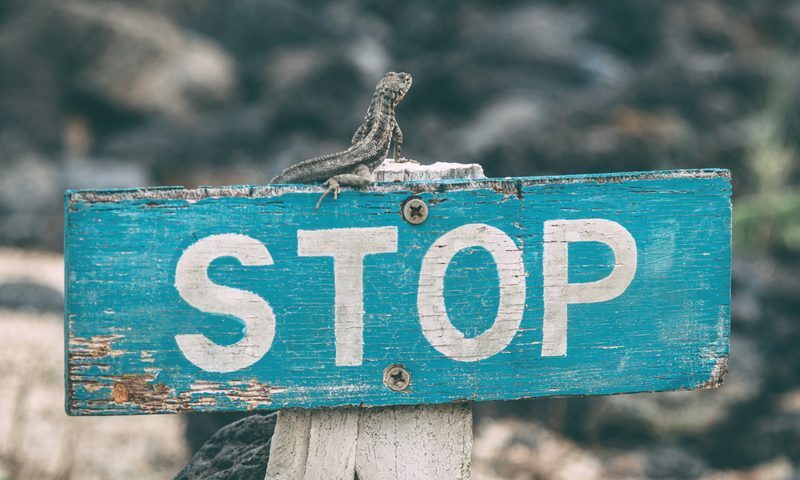 Even worse, this complicated, multi-step chemical process results in lots of unmetabolized folic acid leftover in the body, which then takes up the receptor sites on cells where real folate is needed. Unmetabolized folic acid causes immune dysfunction and an increased risk of certain cancers. So this already sounds pretty scary, but there’s more. To make matters worse, approximately 40% of the population may have what’s called a MTHFR (methylenetetrahydrofolate reductase) gene mutation. MTHFR is involved in metabolizing folate. So if you do have the mutation, your body won’t be able to metabolize folate into its methylated form AT ALL. Instead of a traffic jam, it’s like there’s a bridge out, and there’s no way for your body to get the methylfolate it needs. Because of the double-whammy of folate deficiency AND excess unmetabolized folic acid, there are further potential risks associated with MTHFR gene mutations, including: high blood pressure, heart disease, cognitive dysfunction and dementia, clotting disorders, depression, anxiety, psychiatric disorders, megaloblastic anemia, neurological changes such as numbness and tingling in the hands and feet. The most concerning for TTC mamas? Increased risks of infertility, miscarriage, and birth defects. Folate deficiency caused by MTHFR gene mutations can cause changes in ovulation, defective implantation, and therefore miscarriage. Additionally, in the absence of adequate methylfolate, your body may not be able to produce healthy DNA, obviously crucial for proper fetal development. Folate deficiency (as a result of MTHFR gene mutations) can also result in pre-eclampsia, and birth defects such as neural tube defects, down syndrome, and cleft palate. Many of my clients with multiple miscarriages discover that they have this gene mutation, which is heartbreaking, because those miscarriages could have been prevented. I’d absolutely recommend you ask your doctor to be tested for this gene mutation even if you’re not TTC, but unfortunately many insurance companies do not cover the testing. If this is the case, don’t worry! The good news about folate deficiency and MTHFR gene mutations is that there are PLENTY of simple steps you can take to address them. In my practice, I treat everyone as if they have the MTHFR gene mutation. I do this first and foremost because it’s so common and most people aren’t tested for it, and second because the steps to correct it are still beneficial, even if you don’t have the mutation. Second, cut out all foods enriched with folic acid (fortified cereal, bread, pasta, flour, etc. — check labels! (and unless you’re new to my blog, you already know shouldn’t be eating these foods anyway). Next, eat PLENTY of folate-rich foods, ESPECIALLY if you’re TTC! Leafy dark green vegetables like kale, spinach, chard, collard greens, watercress, etc. Citrus fruits like lemon, lime, orange, grapefruit, etc. The risks associated with folate deficiency and excess unmetabolized folate in the body are high enough that you’ll want to do everything you can to make sure your body has plenty of methylfolate. Therefore, even if you’re not sure if you have the MTHFR gene mutation, you’ll still want to be sure you’re taking a methylated folate supplement, which is folate that your body can actually use without having to metabolize it. Here’s the one I recommend. You will also want a quality prenatal vitamin that does NOT contain synthetic folic acid. My number one recommendation is the Prenatal Pro Essential Packets. These all-in-one prenatal packets contain your prenatal multivitamin, a broad-spectrum multimineral and a high quality omega-3 fish oil, and potent levels of all necessary vitamins and minerals that play a part in the intricate processes of pregnancy. Have you been taking folic acid while TTC? Have you been tested for the MTHFR gene mutation? Did taking a methylated folate supplement help you to conceive? Spread some folate lovin’! Sharing is caring, and I bet you have some friends who would love to read this too :). Don’t forget to check out my ebook about how to Heal Hormonal Chaos and Increase Fertility Naturally, Without Drugs & Expensive Treatments! 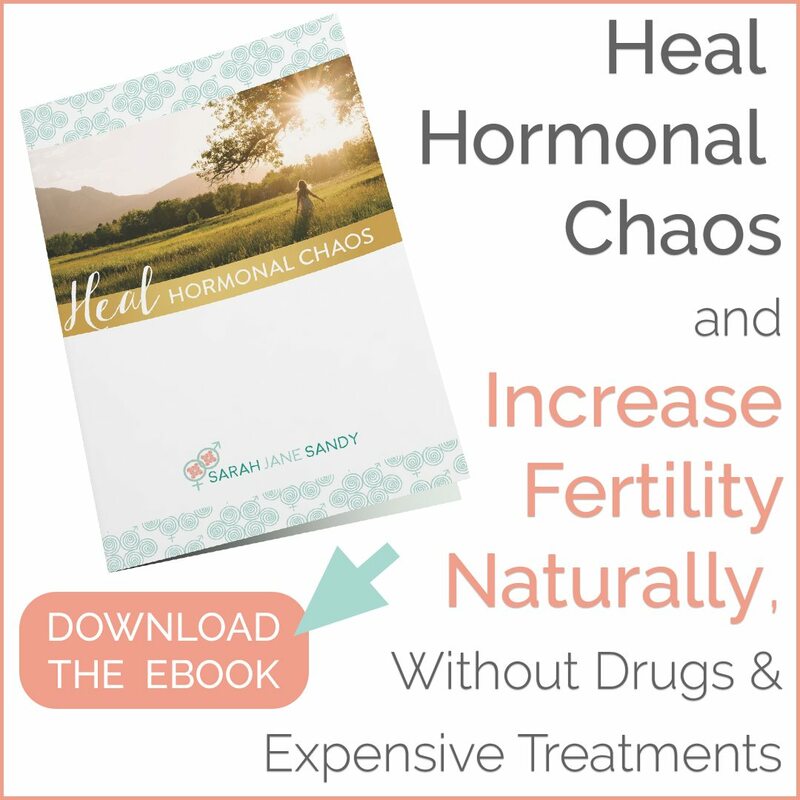 In this eye opening ebook, you will discover my top natural remedies to heal the six most common hormone conditions that affect your fertility. 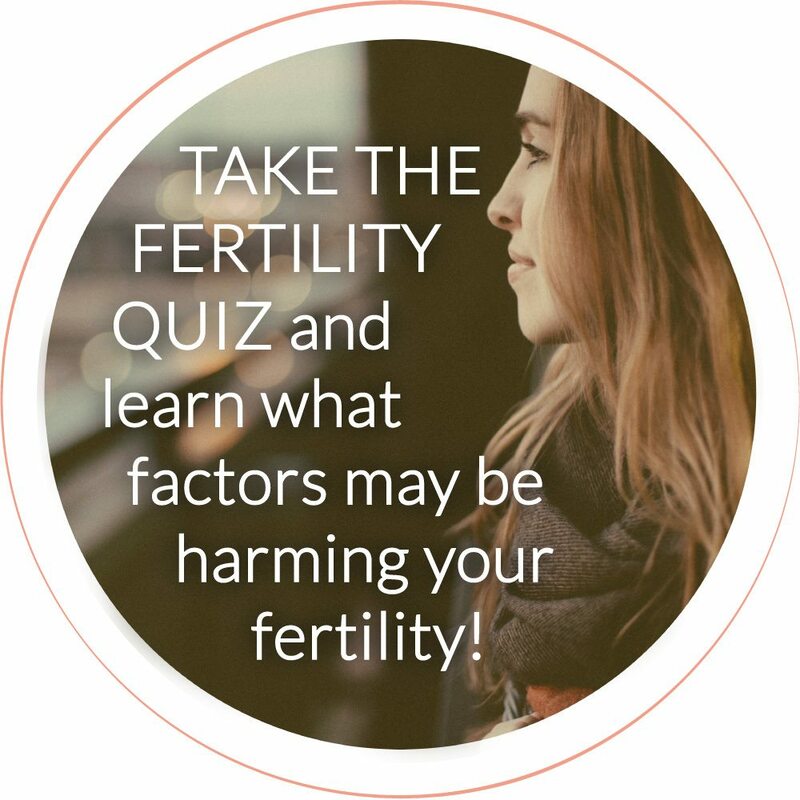 Looking to have a more in-depth conversation about MTHFR and how it relates to fertility? Schedule a consultation with me!